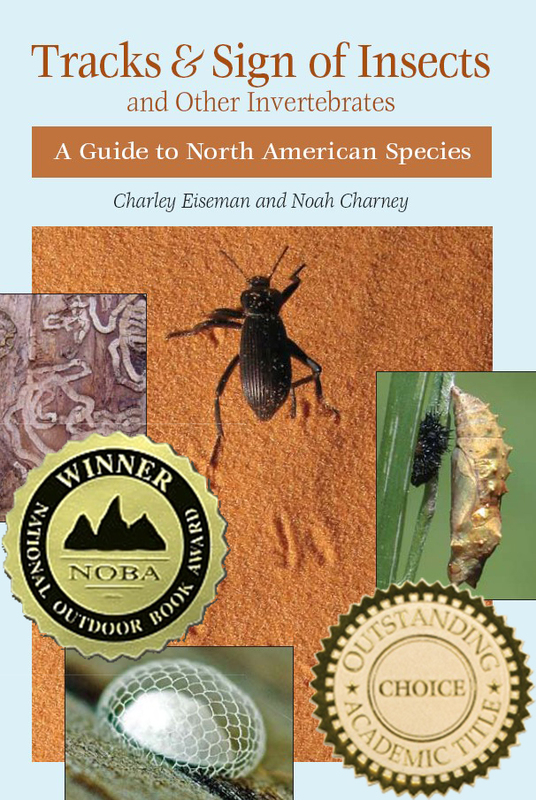 For a collection of quotes about the Insect Tracking guide Noah co-authored in 2010, click here. Eastern Mountain Lions May Be Extinct, but Locals Still See Them. The Wall Street Journal. August 28, 2015. Welcome back, mountain lion: Is the Northeast ready for predators?. Boston Globe. April 11, 2014. Looking for bugs from a bench in Middlesex Fells. Boston Globe. August 30, 2013. Galls, leaf mines and other tracks and signs of insects. Charley Eiseman interviewed by Margaret Roach for robinhoodradio NPR station, August 26, 2013. There are many resources for native plants and extending the gardening season. Lexington Herald Leader, September 3, 2011. Insect sleuths track miniature fugitives. The Berkshire Eagle, July 28, 2011. Valley naturalists prowl insect trail. Daily Hampshire Gazette, December 1, 2010. In the world of insects, the tiniest of tracks tell a story. Tennessean, October 4, 2010. Tracks & Sign of Insects and Other Invertebrates. Northern Woodlands Magazine, Autumn, 2010. Summer reading: Counting the volumes, rating the knowledge. The Buffalo News, August 21, 2010. Wild kingdom, writ small. Boston Globe, June 27, 2010. My ant could paint that!. Boston Globe, September 6, 2009.